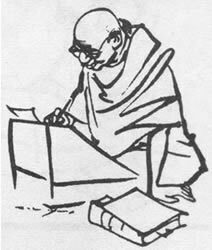 Porbandar, the birthplace of Mahatma Gandhi is situated at the end of Saurashtra (Gujarat State) and is a picturesque seaport on the Arabian Sea. To commemorate the birth of Gandhiji a 79 ft high imposing building has been built in the lane where Bapu (as Gandhiji is known) was born in 1869. The prime attraction is the Kirti Mandir. 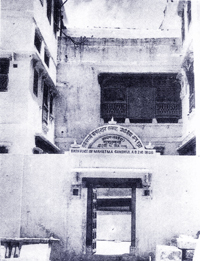 It is a three storeyed ancestral house of Gandhiji where in the exact place where Putlibai, Gandhiji’s mother, had given birth to Gandhi, is marked with a ‘swastik’. A narrow wooden staircase leads the visitor to the upper storey, in particular Gandhiji’s reading room. Behind Kirti Mandir is Navi Khadi, where Kasturba, Gandhiji’s wife was born. The new building adjoining Kirti Mandir, houses a Gandhian Library, a prayer hall, a nursery and a steeple decorated with episodes from Gandhiji’s life. How to get there: Porbandar is easily reached from Ahmedabad. Ahmedabad is well connected by air and rail from Mumbai and Delhi. There are direct train and air services from Mumbai to Porbandar. Best time for visit: October to March.